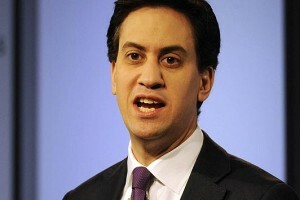 On Scottish independence, Ed Miliband argues that being Scottish and British is something to be proud of. Ed Miliband will today argue that the future of the United Kingdom is too important a subject to be discussed and decided only in Scotland. “A narrow view of identity would mean concern for the young unemployed in Scotland does not reach Newcastle or that we in England would care less for the pensioner in Edinburgh. The speech comes at a crunch moment for the union. Following the launch of the Yes to Independence campaign in Edinburgh last month and with the shape of the campaign to keep Scotland within the UK now becoming clearer, polling persistently shows support for Scotland going it alone far higher south of the border. • 35% of English voters felt Scottish devolution has made the way Britain is governed worse; a figure that has doubled since 2007. • 45% of voters in England believe that Scotland gets ‘more than its fair share of public spending’, a figure which has almost doubled since 2000. 40% meanwhile agreed that England gets ‘less than its fair share’ of public money. • 52% of English respondents believed that Scotland’s economy benefits more than England’s from being in the UK, while less than one in four said England and Scotland’s economies benefit equally. “For too long people have believed that to express English identity is to undermine the Union. At the same time we have rightly helped express Scottish identity within the Union. This does not make sense. You can be proudly Scottish and British. And you can be proudly English and British, as I am. “I am the son of a Jewish refugee. A Leeds supporter, from North London. A baseball fan. I am proud to lead the Labour Party. I am proud to represent the people of Doncaster North. I am proud to be English. And I am proud to be British too. Cruddas is clearly behind this. Ed Miliband couldn’t give a crap about England. I’d go as far as saying that he’s as anti-English as Gordon Brown. He must think we have short memories, it was only a couple of years ago that a leaders debate showed Miliband up for not even knowing the date of St George’s Day. Yep. England should also get a vote. Kick Scotland out, or allow them to stay. Would be rather funny if Scotland voted no to Scottish independence, and England voted to say bugger off. As is the norm with our self-serving politicians, Miliband concluded with “there’s no appetite for an English Parliament” ignoring all the polls suggesting otherwise, instead advocating Labour’s policy to devolve locally, in other words, regionalisation and break up of England. Ever the opportunist, Miliband doesn’t give a stuff about England but at least by mentioning the ‘E’ word he thinks he’s covering his options just in case Scotland votes for independence which of course those of us south of the border know they will never do. Miliband is worrying about Labour losing their much needed Scottish clout to govern England if it should so he’s pretending he’s a politician ‘ready to stand up and talk about Englishness’ just in case. Of course when Scotland votes NO, he’ll promptly drop any mention of the subject. I absolutely agree Toque. This has Cruddas and his ‘Blue Labour’ concept written all over it. It is plainly a cynical exercise to unfurl the flag of St George, put up a bit of bunting and feign concern for England and the English. I’m afraid that they’ll have to come up with some appealing and viable policies if they wish to have any hope of winning back the English working class, rather than relying upon some contentless appeal to an English identity that they seem reluctant to acknowledge and accept. Faultless analysis of Miliband’s cynical self-interest. He’s just a piece of Anglophobic racist filth. Miliband should be grateful that only those in Scotland will be voting in the referendum. What a great piece of self-analysis. Your blatant racism is sick. Because I identify with Britain, not England, you hate me. Because I am not a xenophobe, you hate me. Because I look just like you, you won’t be able to find me when you start your purges. Others…sigh. Torygraph readers always turn up in a piece like this. Sure, if we’re talking a federal UK, Mr. Milliband. Which you don’t want. Perhaps you might listen to the left? Vain hope, I know. The comment was about Ed Miliband, not you. You’re not Miliband, are you? When you accuse someone of racism or xenophobia, please specify which races or nations they allegedly hate. For your information, I don’t go hating people because of their race or nationality, but their political views (Anglophobically racist in Miliband’s case) make them fair game. How do you know you look like me? I don’t read any paper, for what it’s worth. You seem to think you know all about me, so is there anything about me that I don’t even know myself? What about listening to the voters? You know, the people who pay the government’s bills? The simple facts are this, It’s a Scottish referendum, not English, not Welsh, not Irish but Scottish! IS this the best excuse and reason that the unionists can come up with?, very poor indeed. As for those who have went off on one about when Scotland of course votes no?, what are you on about!, you know nothing of the Scots will, if you think you do, we’l send you home tae think again!! Which is what polls suggest would happen if England was ever consulted on this ‘marriage’ but the Scots can rest easy because the UK Government are never going to ask the English what they want are they? The Scots are going to have yet another referendum on how they wish to be governed whereas we English are still waiting to be asked just once. If politicians like Miliband and Cameron are so sure there is no appetite for an English parliament, why are they so afraid to ask us? So it’s not a problem for you that the left don’t vote because there’s no party for them? You hate anyone who isn’t a racist and xenophobe (to anyone outside the *English*), got it. You are using a pathetic dodge to justify your hatred. So you’re saying you’re not White “English” (British)? And whatever else you believe in is irrelevant, given you’ve declared yourself for the far right. I’ll oppose you anyway. Yea, it’s almost like they’re afraid of losing respectively power and the chance at power. Sigh. There are a /lot/ of people, across the traditional spectrum, who think a Federal UK would work. All to no avail – they’re gone, and Labour is not going to get them back. I agree with the above commenters – Miliband, and the Labour party, didn’t give a toss about English working class communities and no amount of foot stamping is going to convince me otherwise. FWIW – if the people of Scotland wish to leave the Union that is for them to decide, what are the rest of Britain going to do – invade? I wish to be free of the European Union – how can I condemn the people of Scotland for wanting their independence. I’m one of those left winger who has walked away. But thanks for the slurs. And I’d not out it beyond you to invade Scotland, no. You want the wars back, after all. So does this mean Ed is going to take an interest in England outside of the M25? You know, the bit that pays for all the massive government spending inside the M25? Is he going top reverse the proces of statist centralisation? Probaly not. Charles…you are right; it is a Scottish referendum about Scotland and at the moment it still looks likely that Scotland will vote ‘no’…though having Darling/Osborne/Moore/Lamont running the campaign is not going to to be a great help. Kennedy is a good choice and Ken MacIntosh could make a strong contribution if Darling and Lamont get out of the way. Then there’s the false case put forward by Labour leaders that a democratic socialist can be a royalist content with a kingdom. No Ed. A democratic socialist must be a republican and no republican can support the UK, the United Kingdom, because it is a kingdom. As your brother David to ask Condi to explain republicanism to you both.